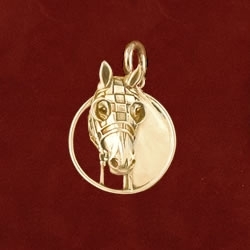 The charm measures 3/4″ wide by 7/8″ high and has the SECRETARIAT trademark stamp on the back. 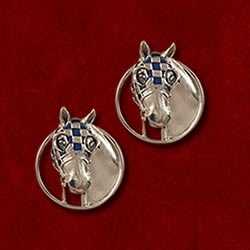 A portion of the proceeds from the sale of the charm benefits the Secretariat Foundation. 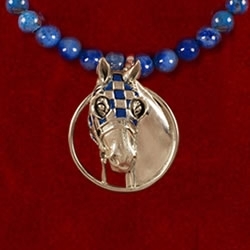 This special design shows Secretariat in his famous checkered blinkers. 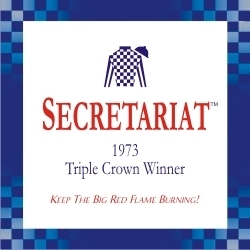 The charm measures 3/4″ wide by 7/8″ high and has the SECRETARIAT trademark stamp on the back. 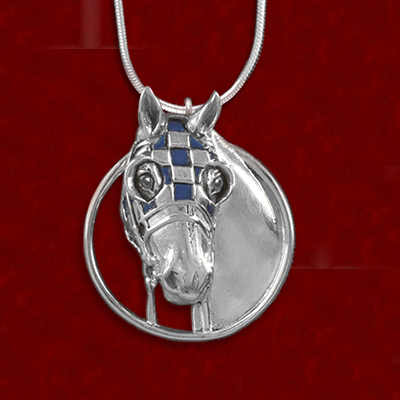 A portion of the proceeds from the sale of the charm benefits the Secretariat Foundation. Gold pieces are made to order and prices subject to change. Please allow 3 weeks for delivery. 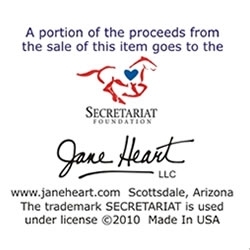 The trademark SECRETARIAT™ is used under license. Copyright 2010.